Corex Honeycomb has been a trusted aluminium honeycomb provider to the composites industry for 30 years, with great experience in the European rail sector. 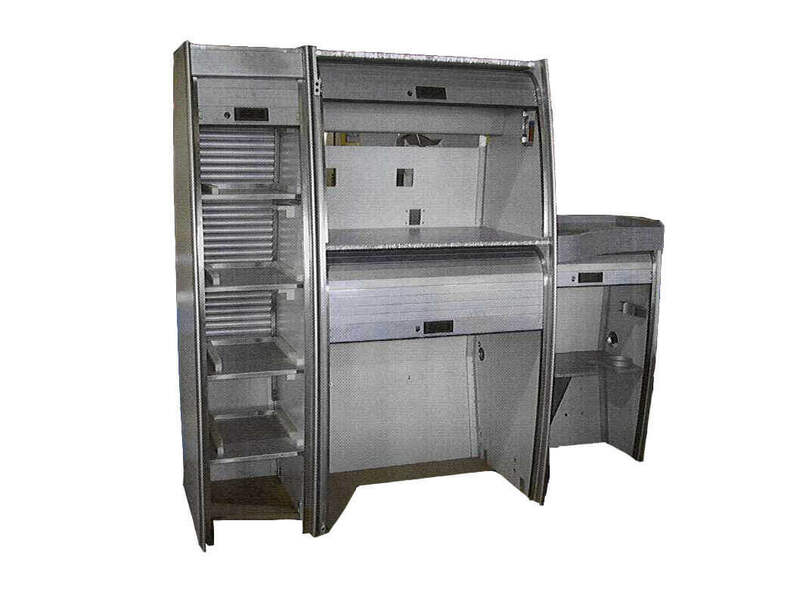 When used in a bonded composite sandwich panel the high strength-to-weight ratio and corrosion resistance provide the perfect application for doors, floors, furniture, galley and sanitary modules (as shown) and interior panel partitions. Corex Honeycomb collaborated with TRB Lightweight Structures, providing applications used to develop the energy efficient Personal Rapid Transit Pod at London Heathrow Airport. 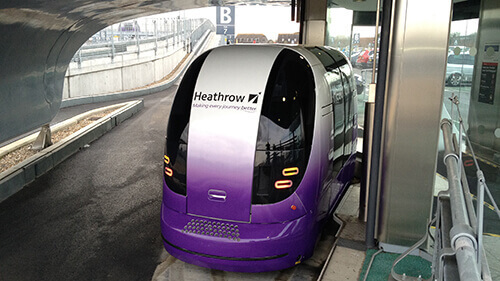 The PRT Pod is an ultra-lightweight, electric, unmanned vehicle connecting Heathrow’s business car park with Terminal 5 via a guide way. TRB Lightweight Structures produced the chassis and floor of the pod utilising Corex aluminium honeycomb composite panels to create a lightweight, high-strength structure. 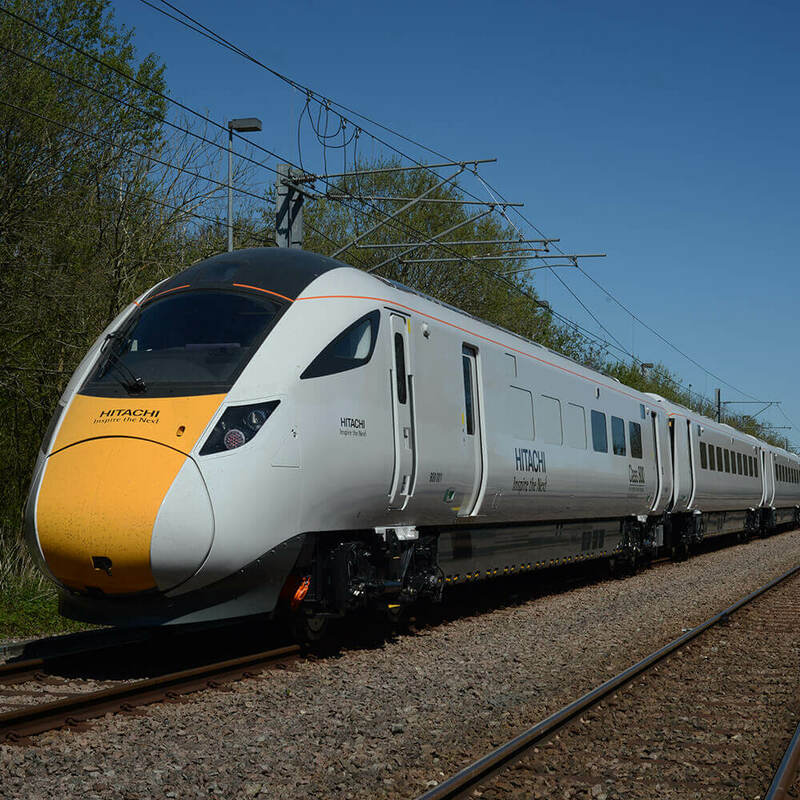 Corex Honeycomb has also worked on the Hitachi Class 800 train project with TRB Lightweight Structures; this project formed part of the UK Intercity Express Programme(IEP). Hitachi Rail Europe provided new electric and bi-mode trains, for the great Western Main Line and the East Coast Main Line. The Department of transport started this programme to replace the ageing High Speed Trains. As part of the IEP, Network Rail will deliver infrastructure changes and Agility Trains (a consortium of Hitachi Rail Europe and John Laing Investments) as the Train Service Provider will deliver the Hitachi-made, Hitachi-maintained trains into passenger service each day. In July 2012, the Department for Transport signed the contract with Agility Trains. For Hitachi Rail Europe, this meant the start of a programme that will see investment in a state-of-the-art train manufacturing plant in the UK, the creation of 730 jobs in the North East of England, investment in new and refurbished depots across the countries and the design, build, and introduction into service of 122 highly reliable, fully serviceable, modern trains. The family of new Class 800 series trains will constitute a change in capacity, improved reliability and reduced environmental impact on every train journey. Hitachi Rail Europe will carry out the maintenance for the next 27 years. These new trains are a combination of fully electric and bi-mode trains, the latter have diesel and electric propulsion. The trains can travel at up to 125 mph, in various formations from five to ten cars. IEP will provide an efficient means for passengers to travel on electrified and non-electrified routes, as well as enhancing the customer experience with more modern trains, better interiors and seating arrangements, and of course, faster journey times. Corex aluminium honeycomb is used by Satys, a French industrial group, in their Rail Interiors division, as the core material for their train floors, doors and other rail-related products, Corex Honeycomb has been supplying this division with aluminium honeycomb for over 10 years; it is highly suitable due to its high strength to weight ratio and corrosion resistance. Read more about Corex Honeycomb’s work in the rail industry in Rail Technology magazine.